Getting a young person to eat his or her vegetables might prove to be quite a challenge in this day and age, especially when you take into consideration the amount of choices that one has to pick from -fast food and the ilk. However, one can always think up of various creative methods to get the job done, and that would include the choice of utensils, so to speak. 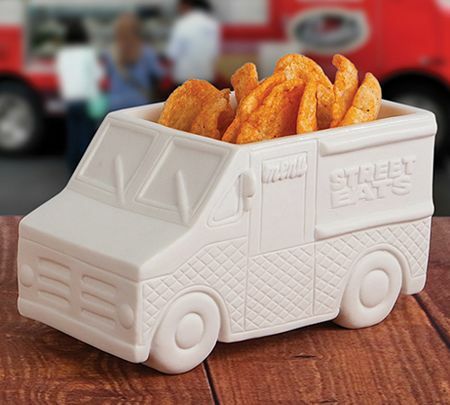 The $17.99 Food Truck will definitely be able to resonate with the young ones, since they would love to have something that moves around on all four wheels, and to have it deliver delicious snacks right to the front of your mouth? Heck, even adults would most probably find this to be rather fascinating, too. It is also the ideal conversation starter, but do be careful with it since it is made out of ceramic and can be easily shattered when dropped.